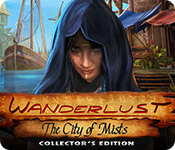 Wanderlust: The City of Mists Collector's Edition is rated 4.1 out of 5 by 35. Rated 5 out of 5 by tonjadillard from FUN game! I absolutely loved this game! It is one of my favorites. The scenes were beautiful and brightly done. Not dark, dank and drab. I'm so tired of the games that look like your in a garbage can somewhere. In the rain. Yuk. The characters were funny and engaging. The scenery was colorful, sunny and tropical. I hope there are more like this coming. Rated 5 out of 5 by baileyfx from Something different and with a hint of humor This was an uplifting and intriguing game that had humor, good puzzles and great story line. Had it all! Rated 5 out of 5 by Dazzleceil from Be Ready to Laugh and Enjoy I have played many games from this site and this game has kept me laughing all the way thru it. The puzzles and hop's are medium lvl, but you get to enjoy the story and the character's attitudes within the story, which makes you forget about solving all the puzzles, which are fun also. I highly recommend this game for all players and hope you all enjoy it as much as I have. Rated 5 out of 5 by purpleziva from Best HO game in a LONG time I think this just may be my most favorite HO game and I have played a ton of hidden object games. The releases since the beginning of the year have been sparse and those that have been released have not been that good. All HO developers should play this game and learn a thing or two. There isn't a single thing I didn't like about this game. The graphics are awesome and the music is theme appropriate and enjoyable. I enjoyed all of the characters, especially Rebecca and Collins. Their interaction is funny, witty and a nice change of pace. The story line is fresh and interesting. 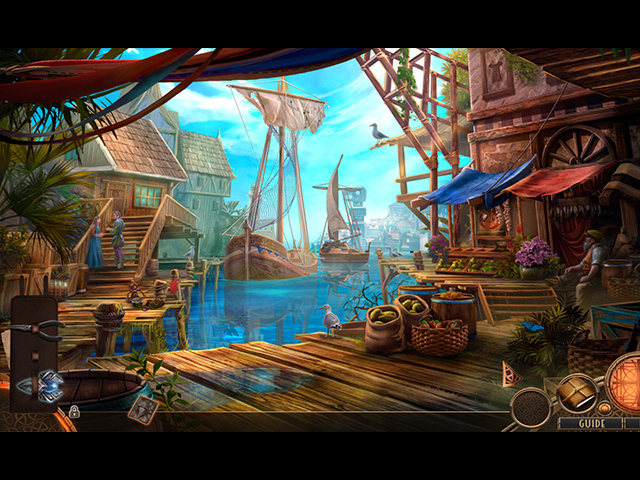 The hidden object scenes were not difficult but some of the objects you have to work for. 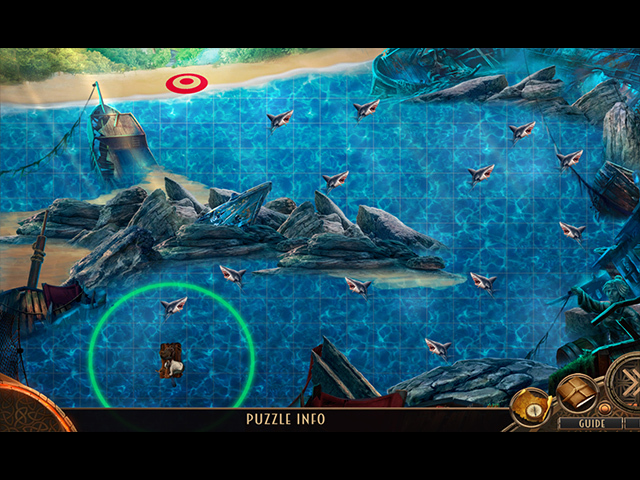 There are some unique interaction tasks, such as the rack of weapons, that added to the success of this game. In the very beginning of the game, there is a pop-up list of items that you have to find. I thought this would have carried throughout the whole game but it didn't. A few more of those in future games would be fun. My favorite thing about this game? The tool belt. How many times have you had to find numerous knives and pliers during a HO game in order to progress.....too many. The developers were geniuses and gave you a tool belt that you had for the entire game. Bravo!!!! Rated 5 out of 5 by RPgames from Funny man Collins I liked this game. A mix of humor, goofiness and adventure in one game. The storyline was similar but they did a good job of putting a little humor, goofiness in it to making it seem different. Visually it had some good areas but to dark in some spots but that makes it less easy I assume. One does search for items to use but nothing to brutal in length. One of the games were the bonus game was just as good as the main game. Try this game I think most will love this game unless one has no sense of humor or likes to search. Voice acting is excellent with "Daring Andrew Collins being a man we all knew in some point of are lives.LOL The two bonus items one must find in each scene a couple were very hard but most were easy plus at the end of the game you can go back to find them which I think should be in all Collector games. Worth the money ! Rated 5 out of 5 by Parm_89 from Excellent! I enjoyed this game, it is different and exciting, thank you. Rated 5 out of 5 by snapnhiss from I adore this game I've played it and the bonus chapter three times in the past week and I've never done that with a game before. There's no running back and forth for 15 different keys, all the actions are logical and *not* frustratingly inane. I think Collins was a fun addition and he kind of softened the lead's crankiness. I'm not fond of that voice actress but overall, she did a good job. The visuals are very pleasing, the puzzles and hidden objects are challenging but (again) not frustrating and there's a lot of good stuff in the bonus area. Just a really great game. Rated 5 out of 5 by Janetto from Adventure and Humor This game was fun to play, and I especially enjoyed the added humor. It's nice to have a game that isn't doom and gloom. Although there were a bit too many mini-games for my preference, I still had to give it a 5-star rating. 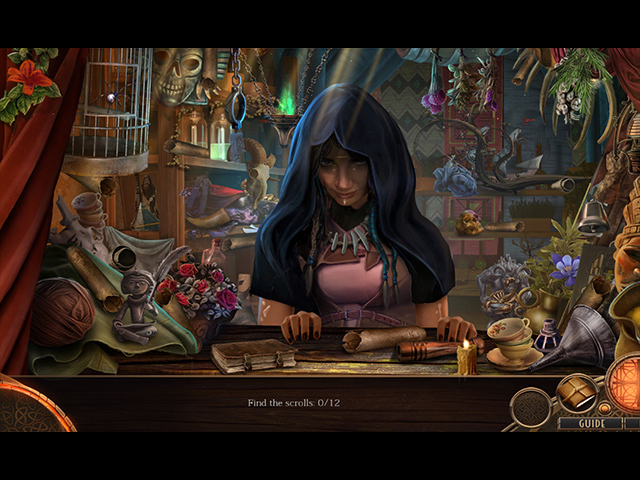 I do hope we see these characters in another hidden object adventure. Rated 5 out of 5 by Verita from so funny I especially liked the dialogues, they are very witty and funny. The puzzles were new, sometimes easy, sometimes challenging.